Gift ideas for you and your loved ones!! I just loved so many things at J.Crew (their GIFT tab is amazing) so.. 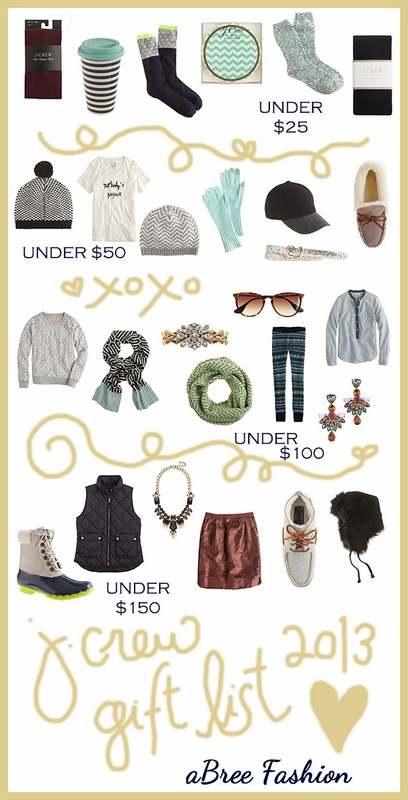 I made a big long list of favorites in all price ranges to satisfy all gifting needs. For more gift ideas check out GroopDealz!! Here are my weekly picks. Happy Weekend!! I can't believe that next weekend is Thanksgiving (my favorite holiday) - then only a couple weeks until Christmas. I can't wait for the snow to fall and for the semester to be over. Relaxing and sipping hot cocoa never sounded so good. Cozy blankets, board games, and family time. That is what I am looking forward to.